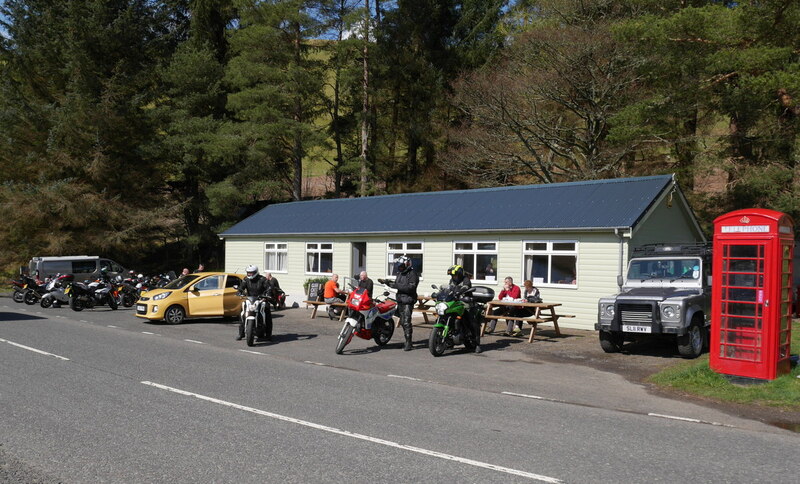 It’s great to see the Glen café back in operation after the refurbishment. It’s 2 minutes drive from the cottage. 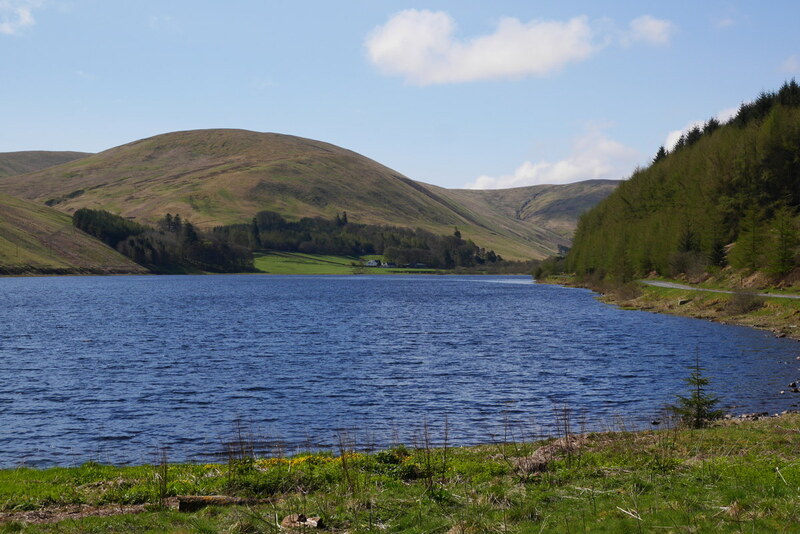 Everyone knows it as the Glen Café at St Mary’s Loch but technically the loch directly in front of it is called the Loch O’ the Lowes or “the wee loch” separated from St Mary’s Loch itself by a very short channel. Gorgeous day today! After our guests left I took the opportunity to take a picture from the upstairs bedroom as the view on our Introduction page was actually taken from the hill behind the cottage. Quite similar? We can organise a supermarket delivery of food for your stay and save you having to bring so much with you! Give Katie a phone. I’ve just added information on our links page to a self catering barn conversion in the Yorkshire Dales. 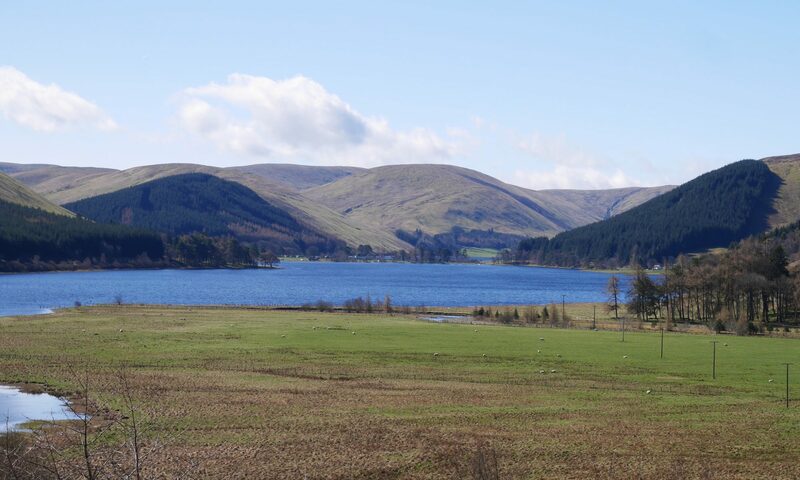 If you’ve “done” the Scottish Borders why not give it a try! High standard accommodation guaranteed. 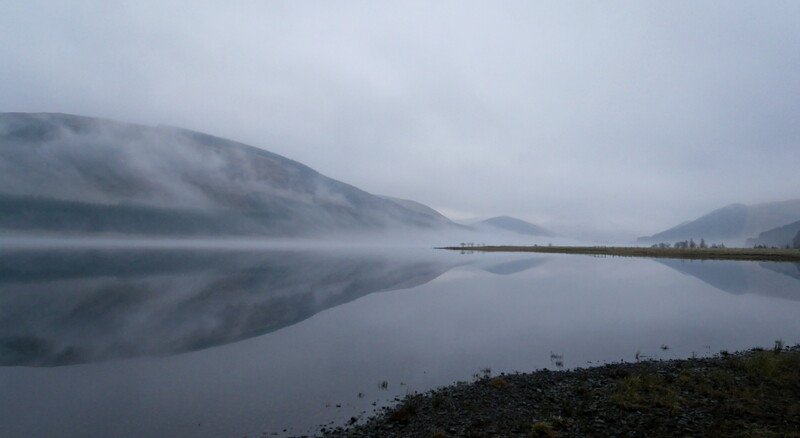 Even when the weather is not what you would normally choose there are some fabulous moody evenings when the mist settles on St Mary’s Loch and surrounding hills. I read that ospreys have been returning in other places but today is the first time this year that I saw one on our side of the loch. 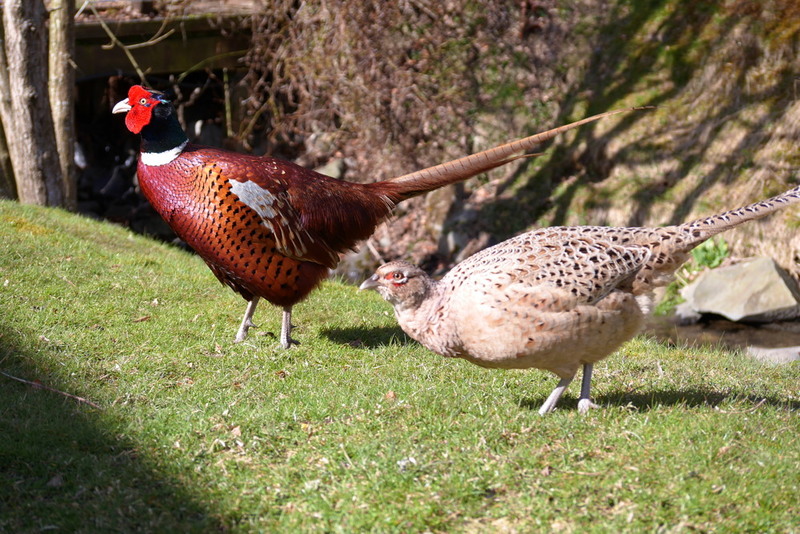 Mr and Mrs Pheasant came out today to enjoy the sunshine. 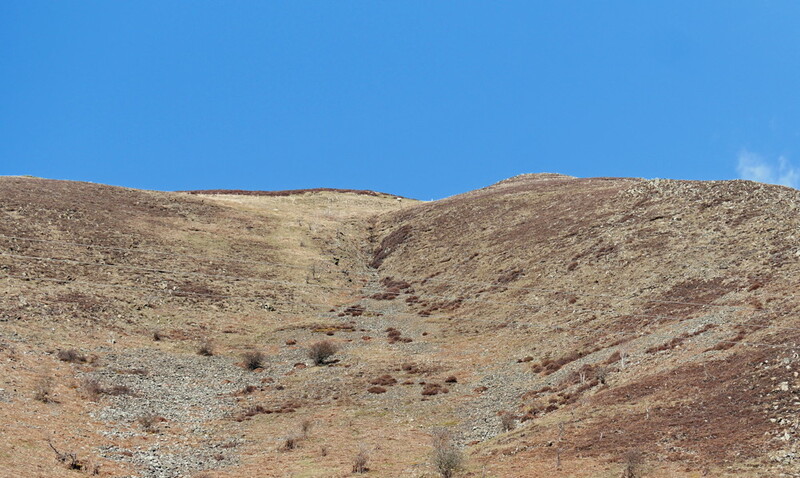 On top of the hill … no, not the distant sheep … good grief it’s blue sky! 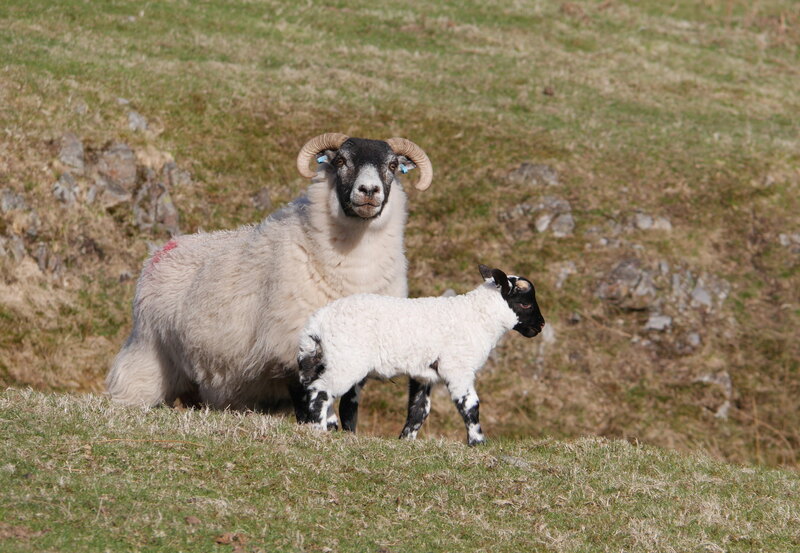 Yippee, signs of spring at last! 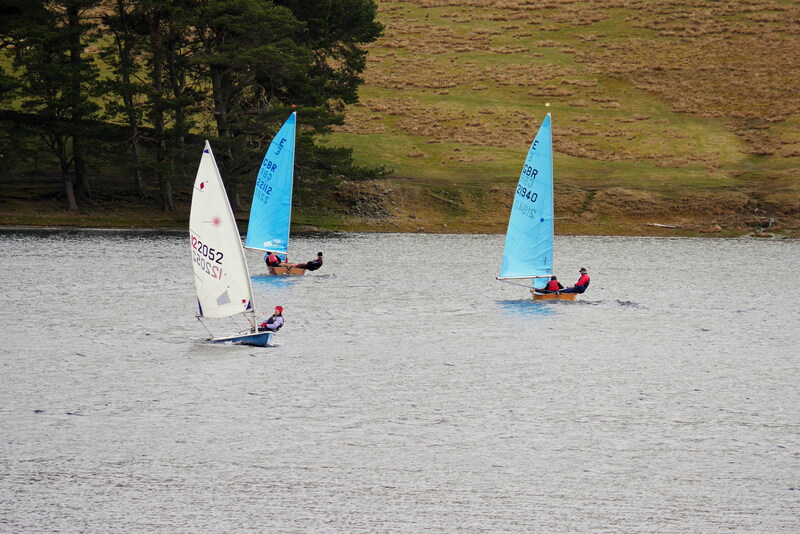 Delighted to see some sailing on St Mary’s loch today.